okay, so when my mom got me this months issue of ONM, i got a magazine called “retro gamer”. and there was a section named “20 nintendo games you never played”, and mother 3 was in it! 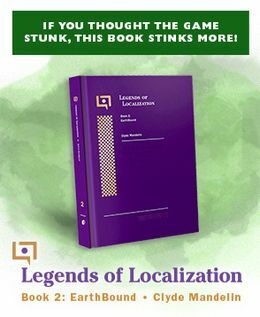 it mentions the fan translation as well! and it also shows the writers dont have their nicknames well, because they called earthbound zero just earthbound. i got a photo of it [and a capri sun] here. I can’t really read what it says – can anyone with this magazine share know what it says? I’m also curious to know what other games are on the list! The game to the left is For the Frog the Bell Tolls (Kaeru no Tame ni Kane wa Naru). Retro Gamer is sold at some places here in the US, although at a premium price since it’s a UK import. I remember seeing an issue at a Barnes & Noble, and it had a blurb about EarthBound in one of the articles. I can’t remember exactly what, though. DAMMIT, I found this and utterly forgot to take a photo! It’s on the Virtual Console on 3DS, and if you like puzzle games, I highly recommend it! It starts out simple but towards the middle of the game, the puzzles get sorta difficult. It does make me wonder, though, how much longer will current magazines (such as ONM) still be around. I mean, good ‘ol Nintendo Power, one of gaming’s longest running game magazines is going under with its last issue this December (more proof the world is going to end this year?). Not only that, but the U.K. magazine, Nintendo Gamer just shut its doors recently as well. Let’s not forget Gamepro has been gone a little while ago. After reading the excerpt, I don’t know that I’d call it a stand alone game. I’ve just started playing Mother 3 for the first time. I had finshed Earthbound about 2 months ago and I love that game. I didn’t think Mother 3 would be as great as Earthbound, or even surpass it. For the Frog the Bell Tolls! Awesome little gem of a game. No way! Never knew you were on EarthBoundCentral NCS! I loved For the Frog the Bell Tolls! 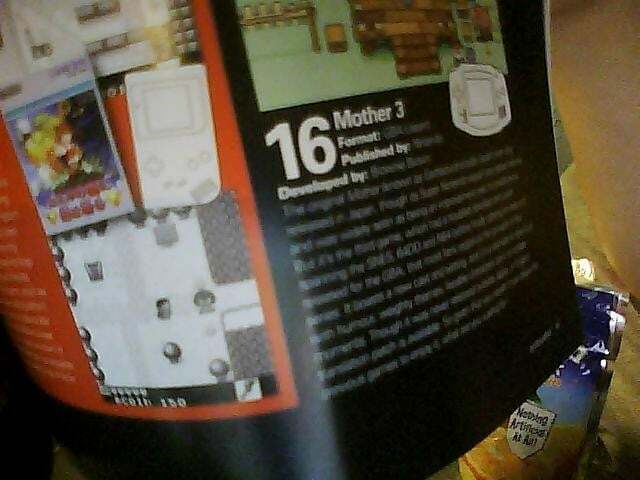 I’m a little bit surprised that they said Mother 3 had a troubled development including the SNES. YES! YES! thanks for putting it into earthbound central! i was waiting for this moment! “the original mother [known as earthbound outside japan] was only released in japan, though its super nintendo sequel saw global release and was widely seen as being an improvement over its predecessor. also, you can expect more messages from me, whether earthboundy or not. im also gonna give some joebound info soon, so stay tuned! @starlight night:its retro gamer, not ONM. also, there was a mention of earthbound in ONM too, but it was only two fan covers by somebody by the name of nessPSI. im also facepalming at seeing people already posting the list. I remember when UK magazine NGamer did a feature on MOTHER 3, they had an interview with Itoi and everything. @StarlightNight – Nintendo Gamer and Nintendo Power were both run by Future, who are consolidating their magazine business due to high costs. The US is a challenging market simply due to the size of the place, the UK is a little easier as it takes only a day to get all the magazines across the country for subscribers. RetroGamer is published by Imagine Publishing, who do all sorts of magazines from Space to Gaming, so I’d imagine it’ll be around for a lot longer. Not to mention that other publishers are still selling Anime magazines in the UK, which is so niche you can barely buy blu-rays on most releases. With this in mind, I’d be surprised if the UK lost any more major magazines and RetroGamer, being as niche as it is, will continue on for a while yet. If not in paper, but as e-magazines. I have a japanese RPG that was in that.